EFFINGHAM, S.C. – Charles Ingram Lumber Co. and sister company Willowcreek Lumber announced on Tuesday $8.3 million expansions that will take place over the next five years. A family owned sawmill that can trace its roots to 1931 and currently employs approximately 160 people, Charles Ingram Lumber Co. is “expanding its operations significantly” with a $6.5 million project, company officials said, while Willowcreek Lumber is expanding with a $2.8 million investment. Facility construction along with machinery and equipment additions, which include upgrades to a planer mill and a new crane to increase log storage, are the underlying reasons for the growth, company officials said, with the added benefit of bolstering the economic development environment in Florence County and the Pee Dee region as a whole. 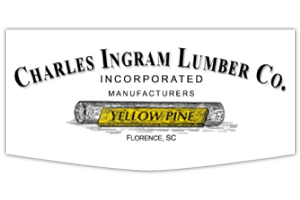 Eighty five years ago the company began as Bynum-Ingram Lumber Company and became Charles Ingram Lumber Company in 1945, according to the company’s website. The Ingram family’s third generation is now represented in the management of the company, which also owns and manages timberland grown for pulpwood and saw timber. The company’s lumber mill produces 120 million board feet of Southern yellow pine annually. Elected officials lauded the announcement as proof of firm footing for the local economy. Fellow county councilmember Kent Caudle called expansions of existing businesses “the lifeblood of our business community,” as he joined in offering congratulations to both companies.